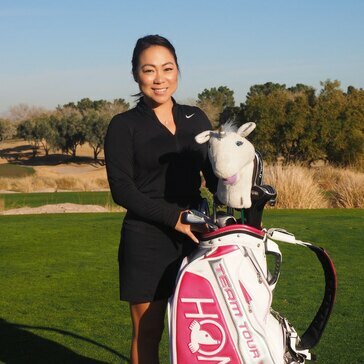 Cathy Kim is a teaching professional who helps golfers of all skill levels to achieve their personal and professional goals. She assesses the golfer’s physical abilities, listens to the player’s goals and tailors a game plan that best fits the player. Before starting a teaching career, Cathy played collegiate golf and attempted the road to the LPGA. Cathy taught at TPC Summerlin in Las Vegas, Nevada for 5 years before calling 1757 Golf Club home. One of her personal missions is to diversify the game and make it an equal access sport for everyone to enjoy. She also believes that golf can be used as a great business tool for professionals to help further their career. Cathy is available for individual lessons for all ages, group clinics and corporate events.